Add a touch of elegance and sophistication to your bathroom with the new Square Basin Mixer. Featuring classy looks and a highly practical design, it will transform even the dullest of basins into something spectacular. Furthermore, it is designed for easy installation. So, renovation or new build, you’ll have no trouble installing this quality product. 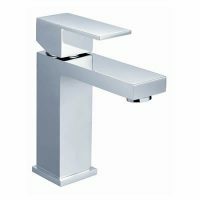 The best feature of the Square Basin Mixer is its design. The design, coupled with the stunning chrome finish, makes this a very attractive choice. Moreover, it is very ergonomic. 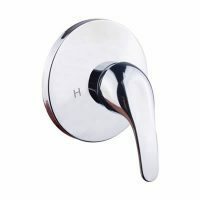 Therefore, it is also very easy to use – the solid handle can easily be operated with one hand. 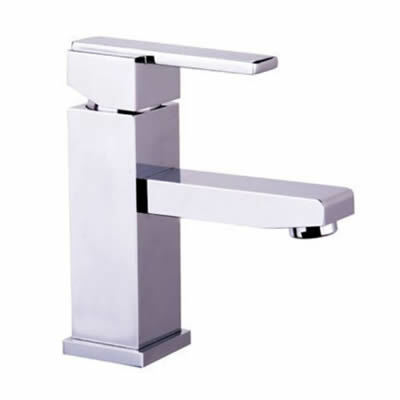 The Square Basin Mixer is manufactured with solid brass construction and will offer many years of service. Furthermore, it is equipped with quality internal parts, which are all backed by manufacturer offered warranties. Rest assured –this is quality tapware that has been built to last. So, to make your bathroom more elegant and sophisticated, simply install the Square Basin Mixer. 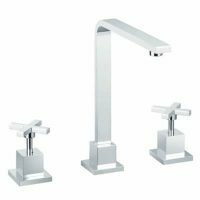 This great tapware is available at an unbelievable price at Ross’s Discount Home Centre. Buy this product today and avail of free delivery all over Perth Metro!